Thunderous calls from competing Toms trying to out-do one another for the affection from nearby hens will be rattling through Iowa’s timber later this month marking the beginning of the wild turkey breeding season. 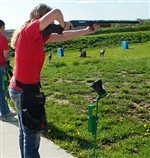 The South Winn and Turkey Valley trap shooting teams traveled to Cedar Falls to compete in the state trap championship last weekend. Turkey hunters reported harvesting nearly 11,800 Iowa birds this spring, which is about 400 birds fewer than 2016. The season continued for the South Winn trap shooting team as the Warriors traveled to Central Springs Saturday, May 13. The Turkey Valley trap shooting team had two meets in two days last week. 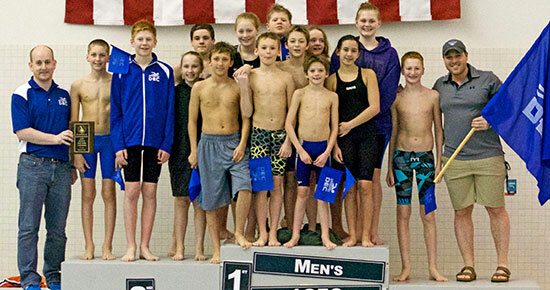 The Live Healthy Iowa Kids Track Championship is set for Tuesday, May 16, at 4:30 p.m. at the Decorah High School track. 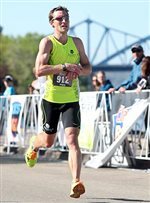 If you were near the finish line Saturday morning for the end of the Fitness Foods Grandad Half Marathon and missed the closing push of South Winn graduate Adam Bohach, you weren’t the only one. Decades ago, Edwin Macha of Decorah made a commitment to the sport of bowling, and he was recognized for his dedication last week at the 2017 United States Bowling Congress Open Championships, where he celebrated 50 years of participation. 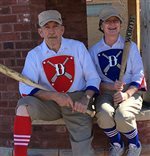 The Decorah Driftless Dodgers vintage baseball team will embark on its second season this April. Spring turkey hunting success and safety comes down to the same thing – proper planning. The popular annual stream trout stocking season starts April 3. The Iowa Department of Natural Resources (DNR) has closed the book on its 2016 chronic wasting disease monitoring effort that collected 4,879 tissue samples from wild deer with 12 samples testing positive for the disease. Hunters will be going through their equipment, patterning their guns and securing vacation days to pursue the elusive Eastern wild turkey as Iowa’s premier spring hunting season is almost here.